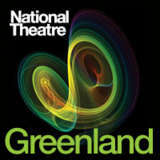 Pulling together narratives and investigative work from four playwrights, Moira Buffini, Matt Charman, Penelope Skinner and Jack Thorne around the ever-current issue of climate change, Greenland is the latest play at the National Theatre to tackle this issue, following on from Mike Bartlett’s Earthquakes in London last year. Based on interviews with scientists, politicians, money-makers and philosophers, woven together by dramaturg Ben Power and directed by Bijan Sheibani, this is a highly ambitious, challenging piece of work and though this was the first preview, it seems that some of these challenges might be a little too much. Predictably, multiple strands of story run parallel, some explored and revisited more than others as the narrative shifts around, there are occasional intersections but these are perfunctory rather than integral to the stories. Amongst everything, there’s a young woman moved to drop out of university to become a climate change activist; two women in a therapy session (there was division in the group as to whether they were mother/daughter or a lesbian couple, but it really isn’t that important) who are being driven apart by the strident ‘green’ views of one of them; two guys bird-watching in Greenland, one of whom has been doing it for 40 years; a Labour politician struggling to make a difference leading up to and at the Copenhagen Climate Conference. All are trying to make sense of the conflicting viewpoints around the issue and figuring out who to trust and what, if anything, can be done. And perhaps this is true to life in that nothing really gets explained clearly or debated truly or decided to any degree. The few connections that exist between the narratives are random rather than essential which creates a disjointed feel which is never quite surmounted despite Sheibani marshalling a vast number of elements into his creative vision aided by Bunny Christie’s design. But it is just too sprawling to ever really gain any of the cohesion that would make this an essential piece of involving drama. 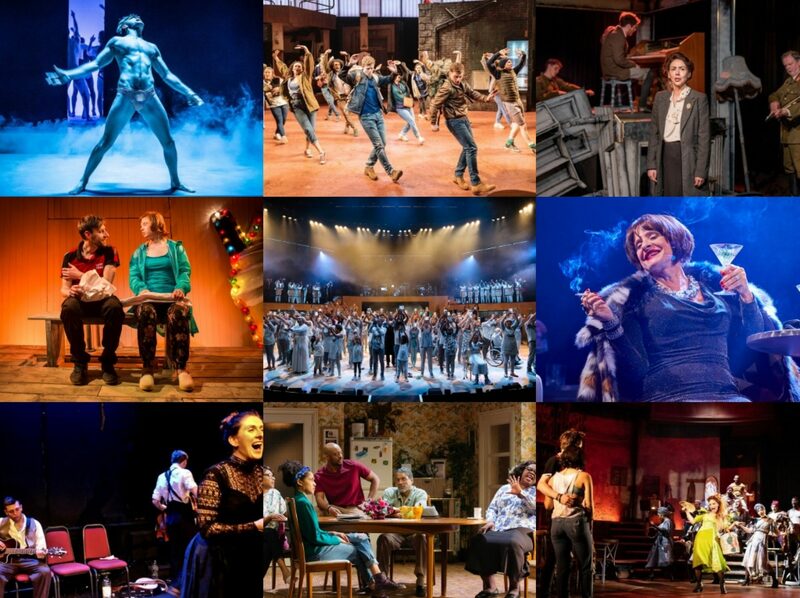 With such a swirling mass of plots and characters and large ensemble scenes and staging devices, few performances were given enough time to really stand out. But as the play progressed, there was some genuine narrative development and the burgeoning relationship between Lyndsey Marshal’s frustrated politician and Peter McDonald’s scientist became really quite engaging, Sam Swann’s idealistic young man about to go to university was appealing and Amanda Lawrence was excellent in a multitude of small parts, raising chuckles at the inanities of how a major international treaties are drafted, articulating the views of many at the frustrations at the perceived uselessness of tiny individual actions when we’re being warned of impending global catastrophe and also as a dippy hippy. Isabella Laughland also makes an impressive NT debut in just her second professional theatre role. Visually, it is quite something and there’s a hugely ambitious amount of just…stuff happening almost throughout the show. There’s [spoiler alert] a girl in a flying shopping trolley, paper snow falling, rope climbing, a recurring game of Deal Or No Deal, a rain curtain, stylised dance numbers and possibly the best polar bear ever seen on stage. It is all rather impressive but collectively amounts to little as there is little or no cohesion to everything. Aline David has done some sterling work with the movement, there are lots of strong visual moments with the whole company onstage but too often, and Finn Ross’ video work is particularly culpable here, the aesthetic feels too close to Headlong’s Enron or Complicite’s A Disappearing Number with numbers and statistics being projected everywhere, tightly choreographed dance routines in uniforms and the occasional reference to the time and place of a character popping up on the back wall. The connections are obvious due to the presence of Power (who worked on both) as dramaturg but came across as a tired rehashing too often rather than fresh and exciting. The usual caveats about first previews remain as pertinent as ever, even more so here perhaps, given the ambitious scope of a multi-author, multi-discipline production such as this and Sheibani and his team have the opportunity to make refinements that could make a difference: indeed I can’t say that I hated this and there were moments and flashes throughout, especially in the third quarter, when I came close to enjoying myself. But ultimately, the play just feels like a cacophonous deluge of information, none of which really stuck in my mind, without the necessary clarity of vision of the message it is trying to portray. * And given the distinct lack of the enthusiasm for the play before it had even opened, climate change seems to be drawing a lot of apathy from people at the moment, I can’t see Greenland changing anyone’s mind, which is a real shame. *That said, some of the information that was provided on the pieces of paper that fall from the sky was most interesting indeed: it is all paper from the National Theatre being recycled, we are given to believe, so I now apparently have in my possession a most interesting list of future plays and directors being considered by Hytner and two pages of the script for Frankenstein! "I now apparently have in my possession a most interesting list of future plays and directors being considered by Hytner"
Even if it was a preview, that's not embargoed info. Scan and spill! It was all worth it for the Polar Bear! I've got a sheet or two of dialogue and a bagful of little squares of tissue paper, which I only noticed when I went to see Twelfth Night on Tuesday!!! I got a ticket for £12 for 3rd row centre, and thought, well, how bad can it be for that money, its worth a visit… and for that money it certainly was. If I'd been paying £45 though, would have had second thoughts. The fact that it was the product of 4 writers certainly showed the gaps in the production…can't really call it a play can you, a review more likely. I had a definite lack of attention syndrome at certain times over the two hours… loved the Polar Bear but only saw it leaving as I was away with the Fairies..Loved the Guillemots but Copenhagen? so what! Will put a word in for the over energetic cast, who all seemed to know what they were doing. Came away covered in tissue paper which unlike the play stuck to me for quite a while, and as much confused about our environment as I was before I went in…well almost!